ProXPN is a VPN that looks like it’s run by a small dedicated team. Being based in the Netherlands, they are outside of FVEY, but there are some features readers should be aware of. 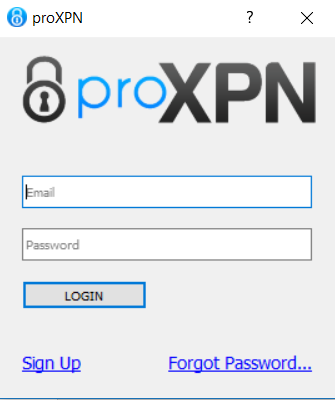 ProXPN (did they miss the V key when typing their name? We don’t know, we don’t even really care – what we really care about is their performance; on with the review!) is no new player in the Internet security game—they have been around for nearly a decade now, founded in 2009. Despite this, they aren’t as well known as other (newer) VPN providers. As usual, ProXPN claims to offer a premium and unbeatable service. Is this true, though? We are going to go over ProXPN with a fine tooth comb and see if their claims live up to the truth. The ProXPN torrent does let you participate in torrenting and P2P downloads! This can be done on all their servers and there’s a built-in kill switch (more on this later) that will protect your information should your connection to ProXPN ever drop. ProXPN officially and fully supports torrenting. Whether you’ll get decent speeds is another issue entirely. For this reason, we can’t end this section without recommending these torrent-friendly VPNs with high speeds. Kill Switch: It has one! As we mentioned earlier, ProXPN does have a kill switch that jumps into action should your connection ever drop. This protects your information, for example, during torrenting and other P2P activities. ProXPN offers the standard 30-day money back guarantee for new members. They don’t offer much information on their website, but it’s likely you can get your money back inside of 30-days with little-to-no hassle. Signing up to ProXPN is easy and takes a few minutes. All you need to do is provide an email address and password, and then you’re able to download the ProXPN product. The installation takes a few seconds thanks to the installation wizard, and once it’s done you can sign in through the desktop app. Selecting a country is a case of choosing from a drop-down list and hitting “Connect”. 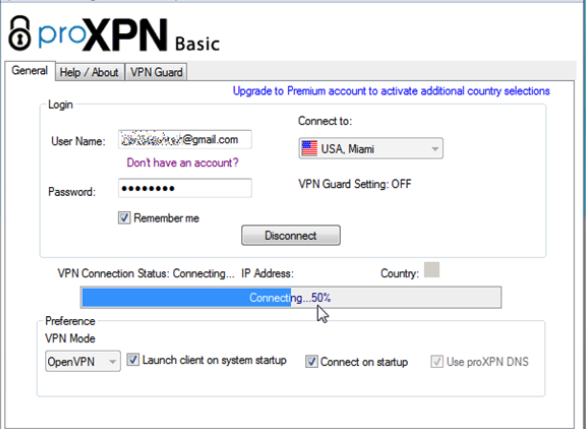 ProXPN isn’t exactly one of the nicest looking VPNs available and its product interface is very basic. It still does everything you need it to do, however, and connecting to a server is easy. All you need to do is choose from the drop-down list and then hit the “Connect” button and off you go. You can customize some preferences, but these are very limited. Even though there is no live chat option through their website, you can still contact their customer support in other ways. Email is quick, Twitter is also an option, or even over the phone if you are inclined to. There’s also an expansive knowledge base and forum where you can ask questions where other members of the community can pitch in and help you out. During our research, we found that many people have been quick to praise ProXPN on account of their good quality of customer service. Only your registration and payment information are kept. They do seem to collect some personally identifiable information, but this is only used to fix user-related problems (e.g. connection issues) and will never be shared to third-parties. Still, we’re sticking this in the neutral pile; we don’t like seeing any personal information collected. C’mon ProXPN, up your game! You can see all the currently available ProXPN servers and locations on this very basic HTML page (seriously, has no one at ProXPN heard of CSS?). At the time of writing this review, there were 13 countries offering just 18 servers. This is a very low amount, especially when you consider that ProXPN has been around since 2009 – they’ve had almost 10 years to get their game faces on – clearly, someone missed their morning alarm. That’s all we have to say, really. Most of their servers are located in the US and Canada with a few offered throughout Europe and Asia. We really expected to see more. All VPNs are going to reduce your download and upload speeds to a certain extent. It’s impossible for this not to happen as your traffic is being routed through a different location. Better VPNs hamper your speeds less, though. Using our 50Mbps internet connection we tested out ProXPN in both the U.S. and Europe. We found that our speeds were reduced by around 60%. This really isn’t great, but it’s also not the worst we’ve seen – that doesn’t make it good though. Whilst not 100% accurate, these speed tests are often a good enough indicator as to a VPN’s overall speed and performance. They aren’t the worst speeds out there, but they rank pretty low down on our list. We have a 50Mbps internet connection so a reduction of speeds by 60% is passable for us, but if you have a slower internet connection then a 60% speed reduction is going to seriously hinder your usage. ProXPN’s VPN service is incompatible with Netflix and we could not get it to work on any of their servers. Looking at their server list it looks like they are currently experimenting with Netflix BETA servers, but we could not find out how to access these, and none of their other servers worked with Netflix. We were met with the typical error screen above. This is not a problem unique to ProXPN, though. 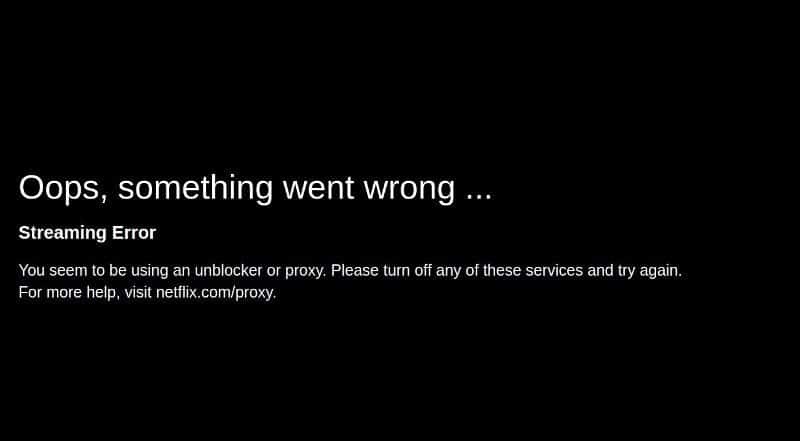 Since 2016, Netflix has been cracking down hard on VPNs and proxies to stop people from accessing geo-blocked content and even the best VPNs for Netflix struggle to consistently provide access to Netflix sometimes. Compared to other VPN providers, ProXPN charges a very high price, especially when you consider the service quality on the whole. First of all, they don’t offer a monthly rolling subscription which means that you have to buy 3, 6, or 12 months’ worth of VPN access up front. Also, the savings offered for their 6 and 12-month subscriptions don’t stack up close to some of the savings offered by better VPN providers. For example, if you opt for the 12-month subscription then you will be billed $74.95 for the entire year. 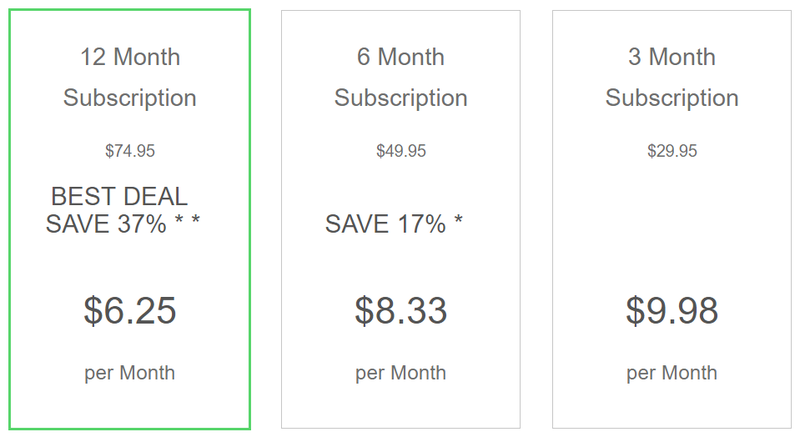 This breaks down to around $6.25 per month which, compared to the $9.98 per month price for the 3-month subscription, offers a saving of 37%. This just isn’t good enough when some VPNs offer 70, 80, and 90% savings. And let’s not forget, the features are somewhat lacking – there’s simply no logical reason for their pricing structure. Oh dear ProXPN, oh dear. ProXPN has very basic payment methods: credit or debit card, and PayPal. There are no anonymous payment methods such as Bitcoin or physical cash available. We don’t see why not; several other VPNs provide this without a problem. At the time of writing this, ProXPN offers support for Windows, Mac, Linux, iOS, and Android. That’s all. There’s no support for routers, games consoles or smart devices such as televisions. At any one time, you can have four devices connected to ProXPN. ProXPN uses OpenVPN as a tunneling protocol as this is widely accepted as the industry standard due to how secure it is. It would be good to see some more protocols being introduced to the ProXPN product but OpenVPN itself is fine. Encryption, however, is one place where ProXPN falls. ProXPN only offers a 2048-bit encryption key alongside a 512-bit tunnel. It’s been reported that a 512-bit key was cracked in just 6 weeks. Most other VPNs use AES-256 (military grade) encryption that is virtually impossible to crack. We really can’t understand why ProXPN chooses to instead use something that is insecure. If you are security-conscious then this is something you need to know about. It was founded in May 2009. This country falls outside of the scope of the Five Eyes network of countries who work together to share information. By not being a member of the 5-eyes network, ProXPN is a lot safer from interference from governments and organizations such as the NSA. They cannot request any information from ProXPN and even if they did, ProXPN is not legally obliged to comply, and nor are the Dutch authorities. ProXPN has been around since 2009—almost a decade!—so you would expect ProXPN to be one of the markets more advanced offerings, especially when newer players have hit the market and made a name for themselves in a shorter time period. This, unfortunately, is simply not the case. ProXPN is a very basic VPN that while using secure tunneling protocols, it also uses outdated and “easy-to-break” encryption methods. In addition to this, download speeds aren’t fantastic, there’s a very limited selection of servers, it doesn’t work with Netflix and the price tag is far higher than even the market-leading VPNs such as NordVPN. While ProXPN does offer decent customer service, this doesn’t make up for the fact that ProXPN falls down in almost all other areas. They try to be a good and honest company but offers a sub-par product with pricing that doesn’t match the merits. For VPNs that offer great prices and full features, we recommend you go to our top 10 list.